This is a strategic business planning model that was advanced by Michael porter in the 1980s. Since then it has become a very useful business tool for managers who either want to rise to the top or those who want to revive businesses that have fallen. Porter’s model is pegged in five cornerstones; these are buyers, substitutes, suppliers, competitors and new entrants (Porter, 2008). They include both existing and potential customers to the business. Nike has a client a huge client base in the US market. By the end of 1972, the first year of Nike brand, 250,000 running shoes and 50, 00 pairs of basketball shoes had been sold and the sales had increased by 60 %. The company received many customer orders until the demand was about to outdo the supply. There is likelihood of Nike getting customers that are new with the current improvements introduced in the products. Since Nike products are durable, available and affordable, many athletes and casual general population demands for them a factor that raises the demand for the products. Although other competitors like Reebok ere stiffly competing Nike, Nike brand had gained a very strong name in the market which makes it hard to be scraped from peoples mind (Porter, 2008). Nike must continually market its product and differentiate its brand against the competitors so that to increase sales and market share. The strong brand identity of Nike plays a critical role in the buying behavior; strong brand gives consumers loyalty and trust. Since Nike dethroned Adidas, it has enjoyed strong brand identity. With nike buyers have a chance to select the color of the shoes they want and the option of personalizing the footwear with their names (Porter, 1980). The initial supplier of shoes to knight was Onitsuka Co., ltd of Japan. This supplier supplied shoes steady to Knights Company RBS. The supplier had 66 models of athletic shoes with$8 million (US) in sales worldwide where RBS was to choose from. When the demand for the products grew tremendously knight sought for more suppliers, he made an agreement with Nissho Iwai for $650000 worth of credit for an independent line of BRS shoes. Despite the small size of BRS Shoes Company, Nissho Iwai quoted that they could only supply RBS a minimum of 10000 pairs of shoes. Knight did not hastate, but he made an order of 10000 pairs. This supply was huge. The continued supply of the products to the market improved customers confidence in RBS Company (Porter, 1980). Prompt supply of the shoes ensured that competition was maintained at high tone. The transition of RBS to Nike marked the climax of competition. Many suppliers were contacted and Nike stores were plant of products for every customer need. There are many suppliers in his industry, the fact that the suppliers have little differentiation, makes their bargaining power no-existent. Only, letter, rubber, and cotton are the commodity items available in the market. Nike a conglomerate has an advantage and power over its suppliers. Thus the suppliers tend to depend on it for survival. In addition Nike and Adidas have standardized their input procedures, concerning the material used; labor force, supplies, services, and logistics this has made it easy for firms to switch between suppliers quickly and cheaply. As far as the sportswear industry is concerned, new entrants to the market are always a potential threat that cannot be ruled out. However, given the fact Nike is an old boy in the industry it has an upper hand of leading the pack, at least for now. The already established brand name and the loyalty of customers make it hard for new entrants to compete against Nike. However, rumors Reebok dethroning Nike were shocking to the CEO and the customers. The introduction of more products by Nike keeps on challenging new entrants. Furthermore, utilization of new technology in manufacturing and constant innovation of new sportswear for women, athletes and casual wear keeps at bar newcomers in the US market. 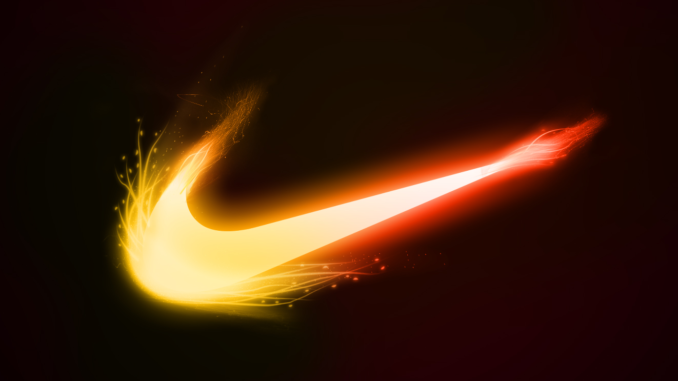 The introduction of new services such as promotions and incentives to lure and attract athletes than half of what other players in the industry are providing shows that Nike is prepared to fight off new entrants to the market who may want to lure customers with new products (Porter, 2008). Unless you are a monopoly, the type of services and goods you offer will always have substitutes elsewhere. Thus if your customers feel dissatisfied they will easily move out. In this new US Nike sportswear company, the possibility of getting drawback from substitute’s products is quite limited. Therefore, Nike has a bright future in this regard. However, the recent rise of Reebok is a treat which Nike need to watch. Failure of Nike to manufacture aerobic shoes created a loophole which Reebok capitalized to dethrone Nike by the end of 1987. Athlethic footwear products have very low consumer substitutes and there are little alternatives to switch. Some substitutes could be sandals, boots, dress shoe or bear feet. Due to performance specifications of the product consumers are not likely to substitute. For example a basketball player will not wear boots to play basketball. Thus, athletic footwear has no real substitute (Porter, 1980). Nike has a lot of competitors as far as sportswear industry is concerned. There are quite a few players in the industry all competing for the few customers available. Large firms such as Nike and Adidas have grown immensely and they have competed for the market over the last two decades. The companies have expanded globally due to emergences of internet marketing and e-commerce. Competition is fierce particularly in footwear industry and the competitors who dominate the market do so with strategic marketing, strong brand identity, aggressive sales, and very high capital expenditure (Porter, 1980). Porter, M.E (1980) Competitive strategy: Techniques for Analyzing Industries and Competitors, New York: Free Press.